Join KP for a special Valentine's Menu served Friday, February 12 and Saturday, February 13. Call 423-764-3889 to make your reservation! Join Bristol Ballet for a Nightclub Two Step lesson at Bristol Ballet Studio. The lesson will begin at 7:30pm, followed by dancing from 8:30 – 10:30 pm. 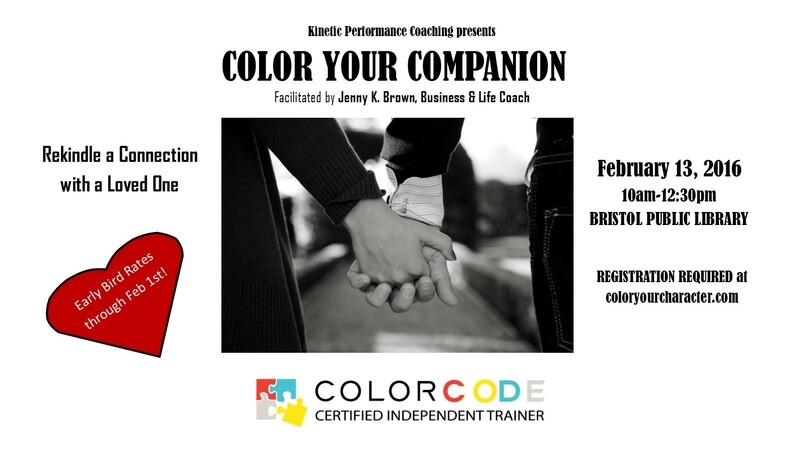 Kinetic Performance Coaching presents COLOR YOUR COMPANION by Jenny K. Brown on Saturday, February 13 (10am-12:30pm) at the Bristol Public Library. 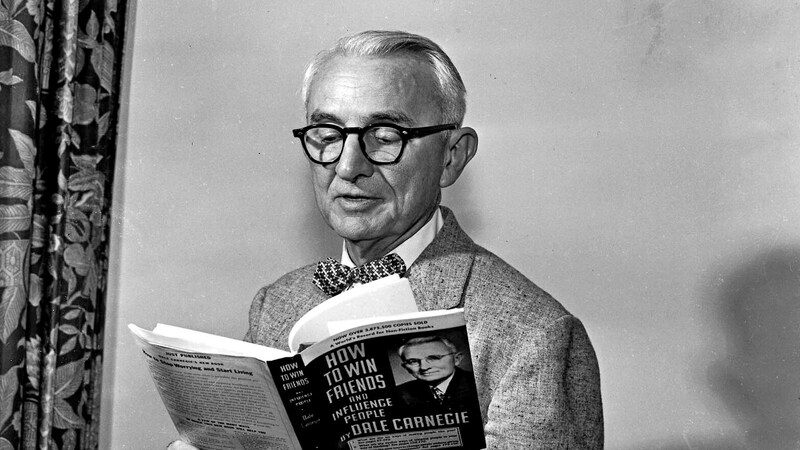 This interactive workshop helps break down communication barriers in relationships by teaching folks the Driving Core Motive behind each of the four personality types, which type you are, and how then to relate better to those around you. This workshop is not just for romantic couples, but is also great for friend, parent-child, and sibling relationships. Early Bird rate of $69 per couple through February 1st! February is the month for celebrating love, for making connections with those nearest and dearest to our hearts. On February the 13th, the day before Valentine's Day, do something to make this month extra special for you and those most precious to you. Join Bristol Yoga in a new experience as we take our practice to the Work of Art Gallery located on 600 State Street for a memorable event. We will be hosting an all-levels practice. Surrounded by inspiring artwork illustrating beautiful landscapes as seen through the eyes of local artists. Following the practice, feel free to explore the gallery with your loved ones getting lost in the visions of featured artists and delighting the comfort of a full heart. Cost: $12. For this event, we ask that you please bring your own mat. Bring a friend, spouse, family member or anyone you choose to share a soulful and supportive partner yoga practice. Strengthen your connection with your partner and yourself as you explore breathing, strengthening, stretching and so much more. If you do not have a partner, contact Wellness Yoga of Bristol ahead of time, and they will pair you up. All levels are welcome! Magic. Moments. Memories. And Twirling. Lots of Twirling. Their first words. Their first steps. Their first break-up. It may sound cliché, but it all goes by so fast. Whether she’s 4 or 40, she’ll always be your little girl. You’ll always be the most important man in her life. 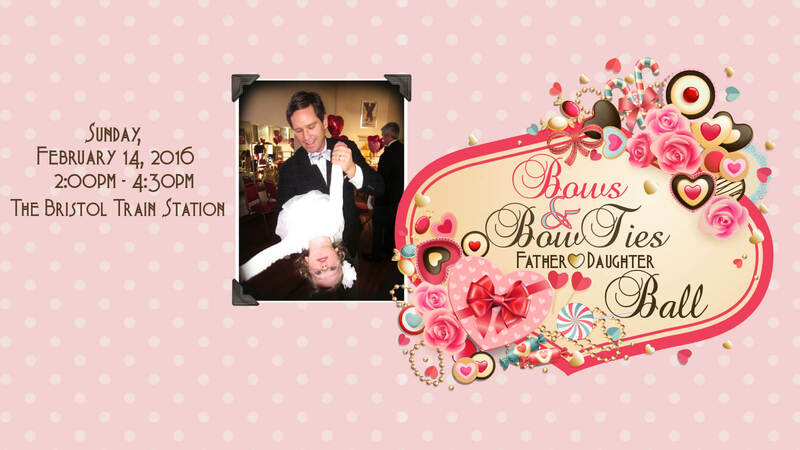 The Bristol Ballet’s 7th annual Father Daughter Ball, themed “Bows & Bow Ties,” promotes healthy father daughter relationships and creates a tradition of memories to last a lifetime. Dads should bring their little sweethearts to the Bristol Train Station on Sunday, February 14, 2016, 2:00 p.m. – 4:30 p.m., for sweets, treats, and dancing. From Sinatra to Taylor Swift, DJ Express will spin a variety of appropriate hits both generations will enjoy. 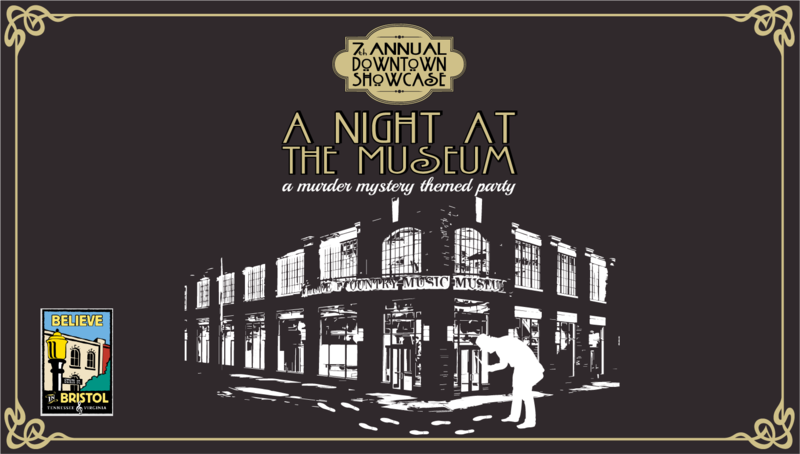 Reservations are $10 per person, call 276-669-6051. Studio Brew is excited to announce their first beer and food pairing dinner. 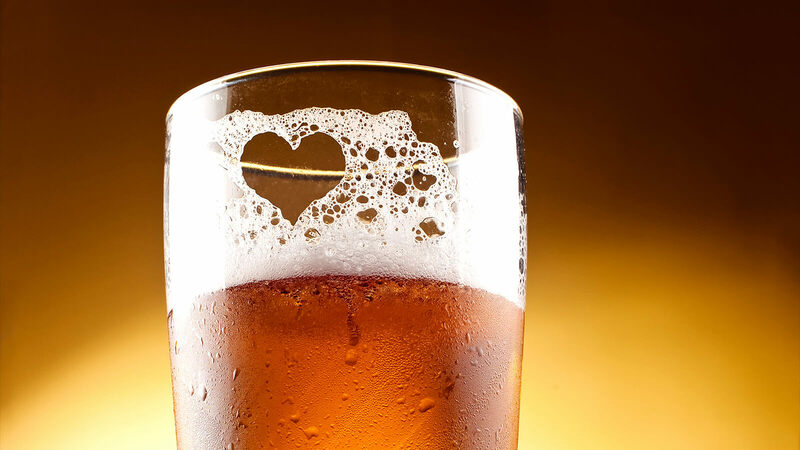 Join Studio Brew in their newly renovated Studio Space on Valentine's Day. For $85/person, they will provide an authentic, five course dinner that will include new creations from our talented Chef Ryan. Owner and Master Brewer, Erich Allen, will be pairing each dish with one of our tasty brews. Each attendee will receive a Studio Brew snifter glass to take home. They'll also have live music from the renowned Samantha Gray during this one-of-a-kind experience. 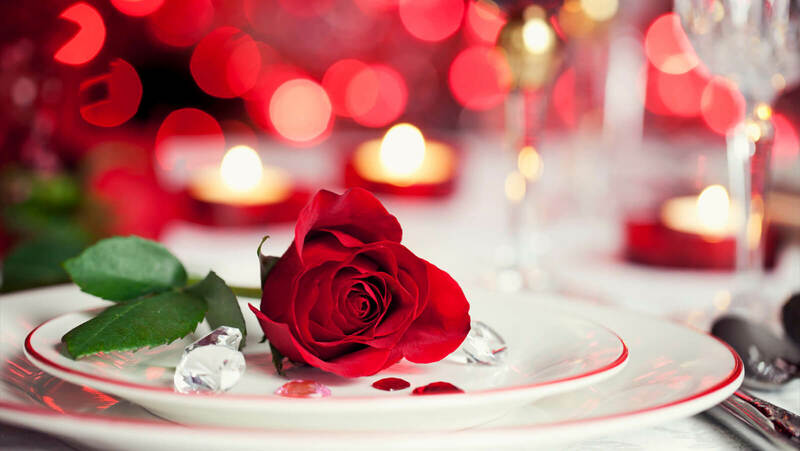 It's sure to be an unforgettable evening with your Valentine! Click here to explore the menu and purchase your tickets. Dance the Salsa, Bachata and Merengue, along with a special Tango performance. Lessons start at 6:00pm followed by dinner at 7:00pm. After dinner, let’s dance the night away. Cover is $10 and includes dance lesson and dinner. Please RSVP on Facebook or by calling (423) 652-1000. 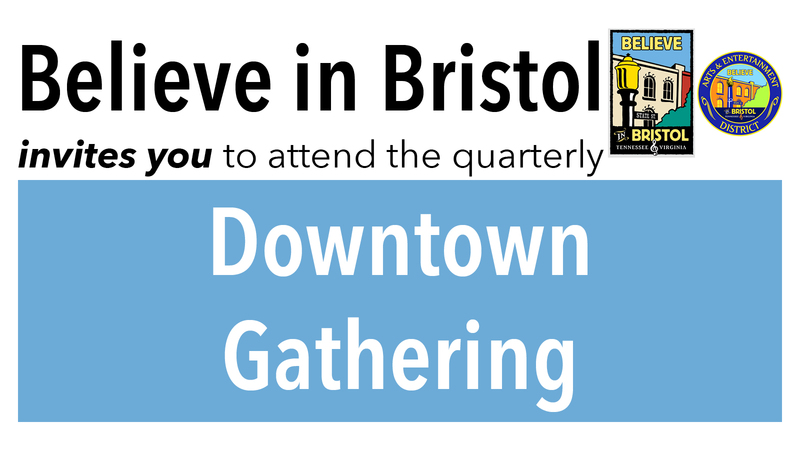 Believe in Bristol invites you to attend the Quarterly Downtown Gathering, to be held at the Believe in Bristol office on February 16th from 5:30 – 6:30 pm. Our topic this quarter is the Downtown Bristol Loan Fund, presented by speaker Cindy Green, Director Community Economic Development for People, Inc.
Who should attend? Property owners, developers, loft dwellers and future entrepreneurs are encouraged to attend, but everyone is welcome! We look forward to seeing you! Refreshments will be served.